Auditions for The Dinner Party, Sept 26, 28, 30! Neil Simon’s 31st play, is a comedic farce with a hint of drama. 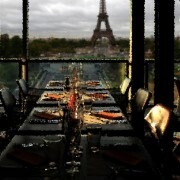 Six Strangers invited to dine together at an exclusive Parisian restaurant. Not knowing why they have been invited until one guest at a time, we learn the guests are three divorced couples. As it turns out, the dinner is about their damaged relationships and whether or not they can reconcile. – Breathe and have fun! Callbacks will take place on Saturday October 3rd from 1:00 to 4:00pm, if required. Callbacks will require all candidates to work for the entire three hours in a round robin match up. Rehearsals will take place from October 14th through January 21st . 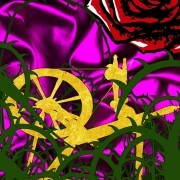 Rehearsals will be Monday and Wednesday evenings and Saturday afternoons. Morpheus Theatre requires that auditioners come prepared to commit to the rehearsal and performance schedule. 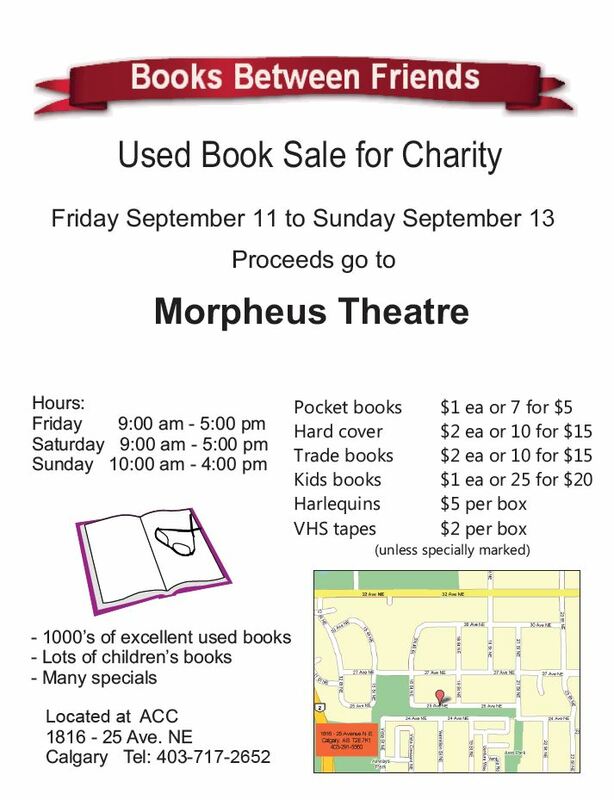 We welcome donations of books until Sept 10 at our home at Morpheus Theatre (3512 5 Avenue NW). We encourage you to check out the large selection of books at very affordable prices! Proceeds from the book sale support Morpheus Theatre’s productions this season. Morpheus Theatre is pleased to announce the cast of our December pantomime – The Sleeping Beauty. Chorus of Palace Servants, Courtiers, Zombies, Villagers…and more.